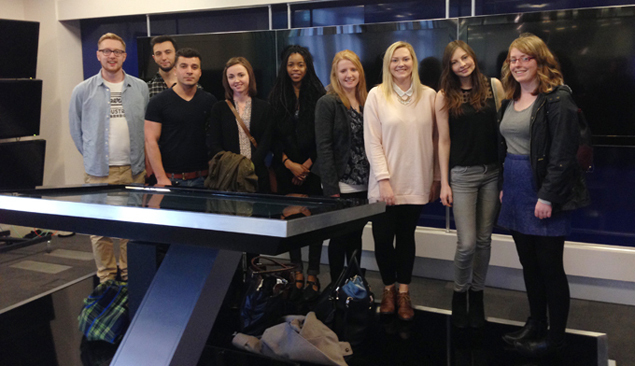 Second year students visit Sky News. 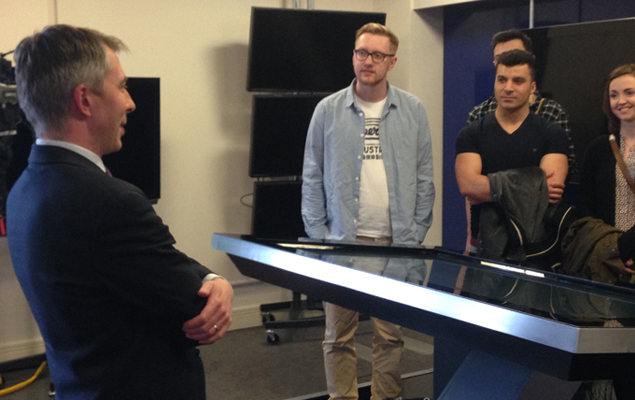 Second year students on set at Sky News. 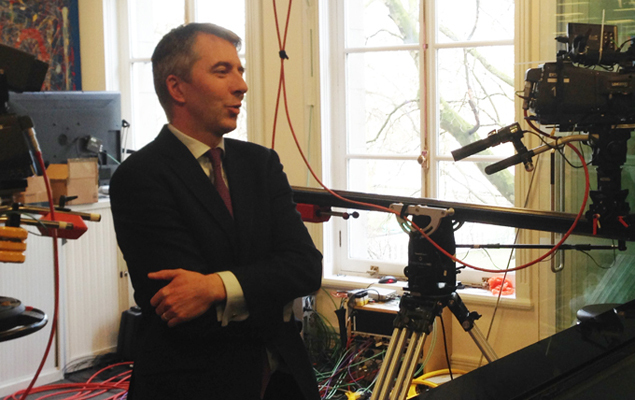 On the 27th of February ten second year students visited the Houses of Parliament and Sky News’s Westminster office. After a tour of the newsroom and production facilities, students spoke to Deputy Political Editor Joey Jones about the coming General Election campaign. The tour of Parliament took students behind the scenes in the House of Commons and the House of Lords, including a chance to stand at the Dispatch Box where the Prime Minister answers questions from MPs every week.